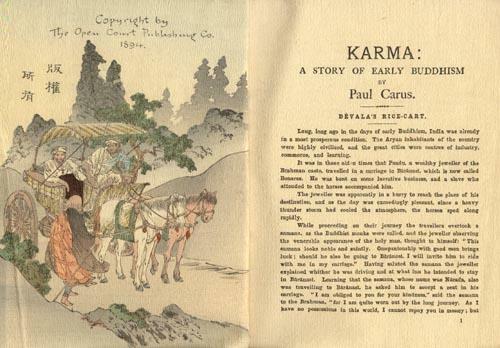 Karma, A Story of Early Buddhism, illustrated and printed by T. Hasagawa, Tokyo (10 Hiyoshi-cho) for The Open Court Publishing Co, Chicago, ©1894, stated Third Edition, Meiji 30 (1897), 12mo (6 x 7 3/4 in - 15.2 x 19.8 cm), crepe paper, silk stab ties, spine covered, 12 folded pages - 24 pages total (including the covers). Illustrated with color woodblock prints. The illustrations for this book were produced by Komiya Yasu. 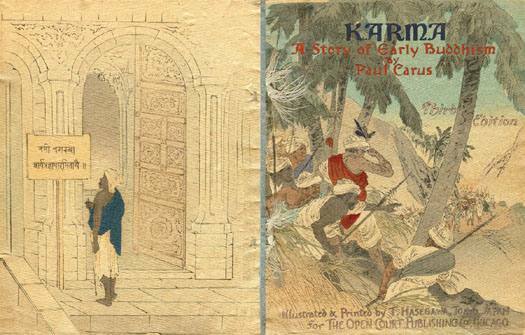 Illustrated front cover and illustrated colophon inside the back cover, 21 numbered pages. The inside back cover continues the story and contains the colophon but is not numbered. I have examined two slightly different covers for the Third Edition. The images are the same. On one book the lettering for "Karma" is printed in black. On the other type "Karma" is red, the same color as the other letting. The covers for the First, Second and Third editions are all significantly different. 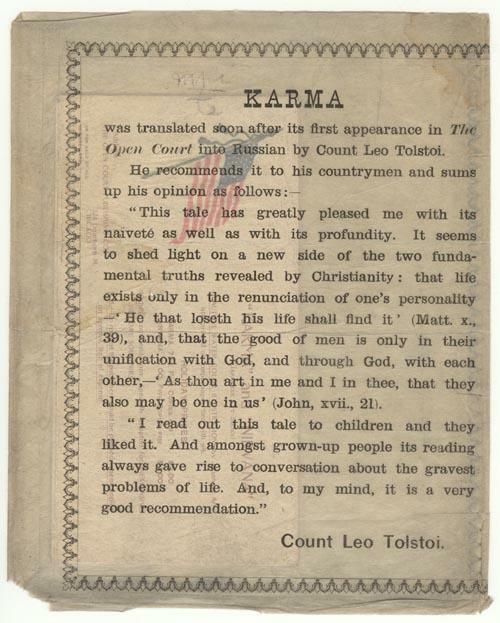 The book is sometimes (rarely however) found with wrap-around tissue protector which notes that it was translated into Russian by Count Leo Tolstoi. 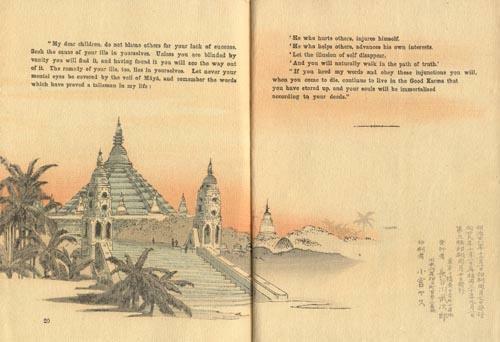 Occasionally, it is found with a postcard size printed notice from the Open Court Publishing company noting this book and the companion book, Nirvana, A Story of Early Buddhism with prices for the books. For information on that book, click here. The first edition of this book was printed on crepe paper and was published in December of Meiji 28 (1895). The second edition was printed on both crepe and plain paper in October of Meiji 29 (1896). This third edition was printed on crepe paper and published in late 1897. The third edition included revised illustrations and is a somewhat different book than the first and second edition. A Japanese language version of the book was published in 1898. Information on the first edition is here. Fukuro-Toji Bound Picture Books. The books published by Takejiro Hasegawa are in the nature of books falling under the Japanese generic descriptive title of Ehon ("e" - picture "hon" - book). They are generally bound in the traditional Japanese book binding style know as "fukuro-toji" which means "pouch binding." In this binding process sheets of paper are printed (woodblock and/or text) on only one side. They are then folded in half with the printed side out. The folded printed sheets are then stacked together along with similarly printed and folded covers and the unit secured along the spine, which is the side opposite the folds, to form the book. This technique gives you the folded pages (double leaves) which are open at the top and bottom forming the pouch ("fukuro") which the binding technique is named after. As a general rule the "fukuro-toji" books are secured/tied with (Yotsume toji bindings) in where four small holes are made along the spine edge and the sheets and covers are then bound together tightly with string or thread ties that wrap around the spine. Generally the spine is not covered except for small portions at the top and bottom. Hasegawa seldom used this form of binding. However, some of the early first editions are found secured in the traditional four hole string tie fashion. I have only seen this with the plain paper books. 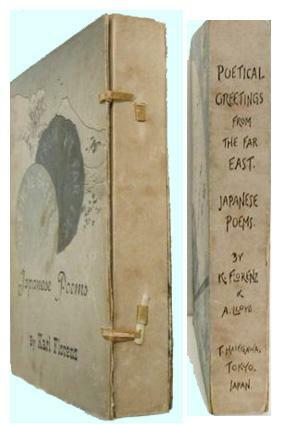 Most Hasegawa books were secured at the spine using two stab type holes (one at the top and one at the bottom) and secured by silk string or silk ribbon ties (Yamato toji binding). Large books consolidating several individual books are found bound with Kangxi bindings. A very few were tied in a Western style with the string binding concealed under the outside portion of the front and back covers. The paper used was a high quality wood (no rag content) based "washi," generally manufactured from mulberry. The majority of the books were crepe ("chirimen") paper. These are referred to as "chirimen-bon" (crepe paper book) in Japanese. The crepe paper process occurred between the printing process and binding processes. Hasegawa's books were uniformly of high quality in all aspects; paper, ink, execution of the art and text, printing (woodblock printing and Western type face text printing), assembly and binding. Key Actors in the Production Process. These books involved several key actors in the production process. Publisher/Editor. Kobunsha/Takejiro Hasegawa or his successor. Author/Translator. Since these books were intended for markets outside of Japan, Hasegawa employed numerous prominent foreigners for this task. Many famous Westerners living in Meiji Japan were associated with Hasegawa's work. Occasionally, Hasegawa would be commissioned by others to produce their work. However, the overwhelming majority of the books were published at his initiative and under his control. Artist. Hasegawa retained a group of artists to execute the illustrations for his work. Text Printer. 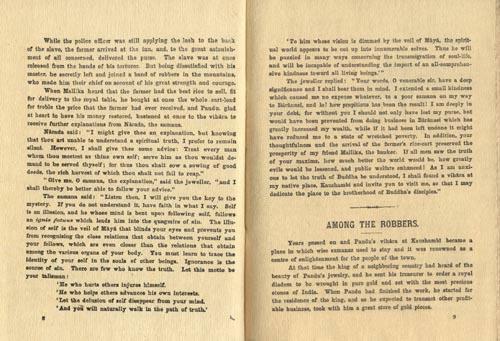 The text printing in the books was executed by a different printer from the woodblock printer. Woodblock Printer. The woodblocks would be produced from the artist's work and then printed by the woodblock printer. It appears that most of the woodblock printing was done by the Komiya family. Frederic Sharf, in his work Takejiro Hasegawa, Meiji Japan's Preeminent Publisher of Wood-Block-Illustrated Crepe-Paper Books (see here) records a remarkable amount of information on all these key individuals. In his bibliography of these books, he documents the books and, as far as the information was available, gives the names of these key people. His book also provides an in depth discussion of Hasegawa's life and business and the key authors and translators he employed. Sharf's work is an essential resource for the collector and student of these books. Size. There are four basic sizes of the crepe paper books. Very Small Size -- large 32mo (3 1/2 x 6 in - 10 x 15.2 cm). The smallest size I have seen in the Japanese Fairy Tale books (not calendars, however). Small Size -- small 18mo (4 x 6 in - 10.3 x 15.2 cm). This is the standard size for the Fairy Tale Series books. Medium Size -- large 18mo (4 3/4 x 6 1/2 in - 12 x 16.5 cm). Medium Size -- 12mo (5+ x 7+ in - 13.4 x 18.8 cm) typical plain paper size. Large Size -- large 12mo (6 x 7 1/2 in - 14.8 x 19 cm). Very Large Size -- 8vo (7+ x 9+ in) primarily the plain paper books. It is possible to generalize on size of crepe books versus plain paper books. The plain paper books are approximately 50% larger than the counterpart version on crepe paper. As a general rule the plain paper books measure 12.3+ x 18+ cm while the same book in crepe paper measures 9.8+ x 15+ cm. Since the crepe books were first completed in a plain paper format and the paper then creped, perhaps the difference is shrinkage during that process. Crepe/Plain Paper. 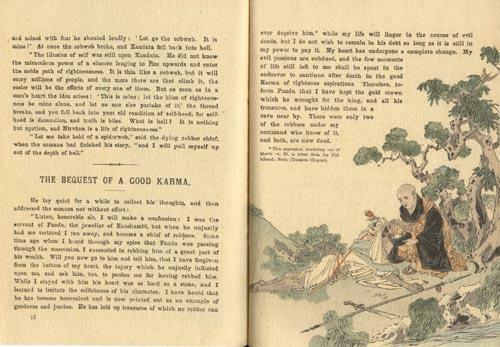 In the second edition of Oyuchasan, published in 1893, Hasegawa advertised The Japanese Fairy Tale Series, Nos. 1-20 in "Ordinary Paper & Crepe Paper." On this matter, Sharf notes that the Maruzen company in Tokyo sold Hasegawa/Kobunsha books and until 1893 all listed in company catalogues were on plain paper. The 25 numbers of the First Japanese Fairy Tale Series, as well as No 1 & 2 of the Second Series, were apparently all sold in plain paper versions. They were also sold in crepe paper versions. Bindings. Discussed and illustrated below. Sword and Blossom Poems, 3 volumes (padded folding cover with title and plain with no lettering). 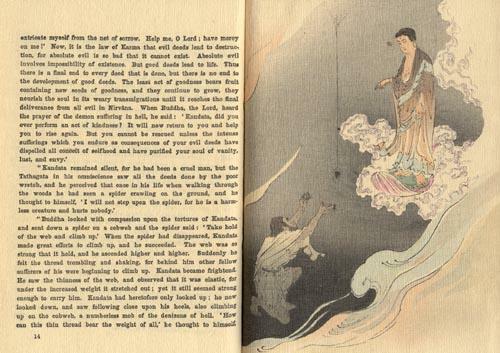 Lafcadio Hearn's five book Japanese Fairy Tale sets. They also generally state in English and/or Japanese - "Copyright Reserved" / "All Rights Registered and Reserved." An example of a colophon with English translations annotated is here. A word of caution is necessary regarding colophons in these books. It was not unusual for a later reprint of a book to contain the same colophon found in the earlier edition. Dating these books can be a complicated undertaking and that is discussed below. Griffith, Farran & Co., London and Sydney, N.S.W. From a binding perspective the major distinction in these special production books is that they are not bound by stab ties or external string ties. Additional information on several of these books is found here. Different Language Versions. The Fairy Tale books were printed several languages. Danish - "Japanesiske Eventyr" - Three books, Krigen Mellem Aberne og Krabberne (I), Spurven der mistede sin Tunge (II) and Brendehuggeren og Troldene (III), Japanesiske Eventyr I-III, translated by Agnes Berner, distributed by Ernst Bojesens, Kunstforlag, Coppenhagen, bearing the Kobunsha, Tokyo imprint . The same three titles were translated into Swedish (see below). Dutch - Two books; Shitakiri Suzume, plain paper, c1886 and De Musch Met De Geknipte Tong), plain paper, 18.1 cm x 12.3cm, 10 double pages, 1892. A Dutch language calendar has also been reported (Almanak voor 1903). French - "Les Contes du Vieux Japon" (Nos. 1~21, same books/numbers as in English versions). 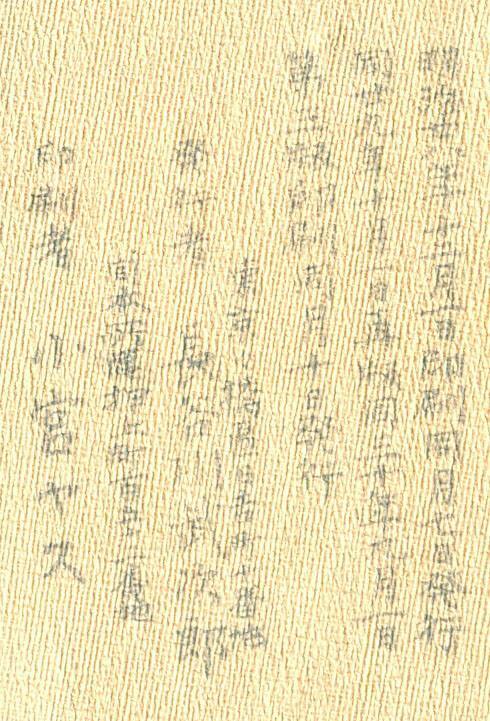 An early edition (Battle of the Monkey and the Crab) is reported on plain paper in medium size (12.5 x 18 cm) with the 2 Minami Saegi-cho address. 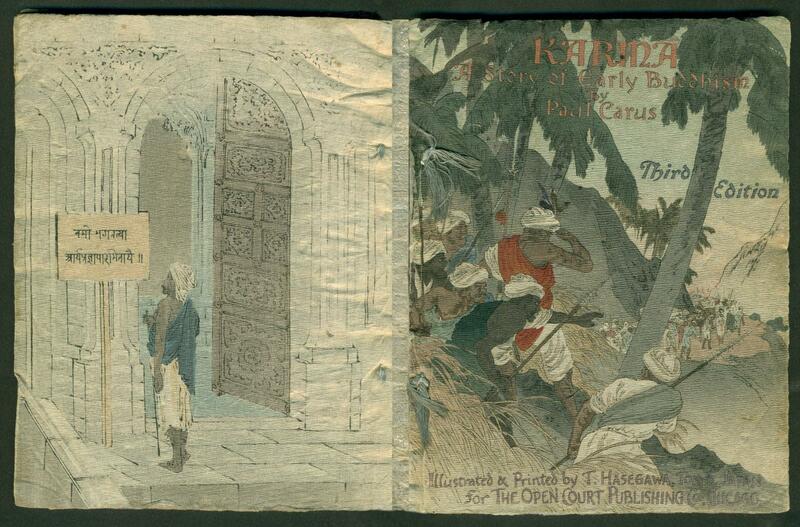 In this book the covers are in color but the internal woodblocks are black and white. This type of book would date between 1885 and 1889. In an advertisement published in 1906, Hasegawa offered the 20 volume set "..une boite en carton" for $6.00. German - "Japanische Marchen" First Series: 1, 2, 3, 4, 5, 7, 8, 9, 10, 13, 16, 21, 21 Second Edition. Second Series: 2 & 3. For more information on the German translations, click here. Japanische Marchen, Momotaro, was republished in 1942. To see the covers and book list in this book, click here. In an advertisement published in 1906, Hasegawa offered volumes 1-5 "..in Carton" for $1.25. Portuguese - "Contos do Velho Japano de Carangueijo" (Nos. 1~8). Spanish - Two series. First series, "Cuentos del Japon Viejo (Nos. 1~10)." Second series Leyendas y Narraciones Japonesas (Nos. 1~10)." For more information on this set click here. Several Spanish language calendars have been reported. Swedish - "Japanesiski Sagor" - were translated by Konni Zilliacus who spent the period from 1894-6 in Japan. During this time he collaborated with T. Hasegawa to translate Fairy Tales No. 1 (Momotaro), No. 2 (Spariven med den Klippta Tungan) and No. 7 (Gubben och Trollen) into the Swedish language. These were printed in Tokyo and carried the Wentzel Hagelstam, Forlag, Helsingfors, imprint in addition to "T. Hasegawa's Tryckeri" (10 Hiyoshi-cho, Tokyo). To see the front covers of these books, click here. The same three titles were translated into Danish (see above). Italian and Russian (one book, The Wonderful Tea Kettle). Polish. It appears that a series in Polish was proposed but never published. Hasegawa Output Over the Years (1885~1930). I have not seen a definitive listing of all the books and calendars produced by The Kobunsha and T. Hasegawa over the years. However, a review of this material that I have seen indicates more than 250 different and distinctive books or calendars were produced over this period. One advanced collector has placed the total at more than 700. This includes crepe and plain paper books of the same title as well as versions of the books in different languages as distinctive publications. It does not include different printing of the same item. Quantities Produced. I have not found a record of the output of the various Hasegawa publications. Sharf notes that the books were "...produced in quantities of either five hundred or one thousand copies per title...." (Sharf at page 11). I am aware of only one book where the quantity printed is actually stated. That is Japanese Dramen: Terakoya u. Asagao. At least seven editions of the book were produced with a quantity of 1,000 copies per edition. In this book the quantity is stated on the folding case, on the title page and in the colophon. Addresses in Japanese (all in Tokyo). A listing of addresses and dates is provided in the Sharf book at Appendix Three. The name "Hasegawa Publishing Company"
Unfortunately, it is not as simple as this. I find it interesting that Sharf does not deal with the matter of the various editions in his comprehensive book on T. Hasegawa aside from presenting printing and publication dates. Since earlier dates were often repeated verbatim in later editions, the dates you find are not absolutely determinative as to whether a book is a first edition. I will present my tentative observations/conclusions regarding first editions below. I believe that the plain paper books predated the crepe paper books for the first 20 English Japanese Fairy Tale Series books. First Editions and Transliterated Title Versus Translated Title, Nos. 1-12. The first editions of the first 12 English language Japanese Fairy Tale Series have the title spelled phonetically in English (transliterated). The title appears translated into English on the first page of the text. 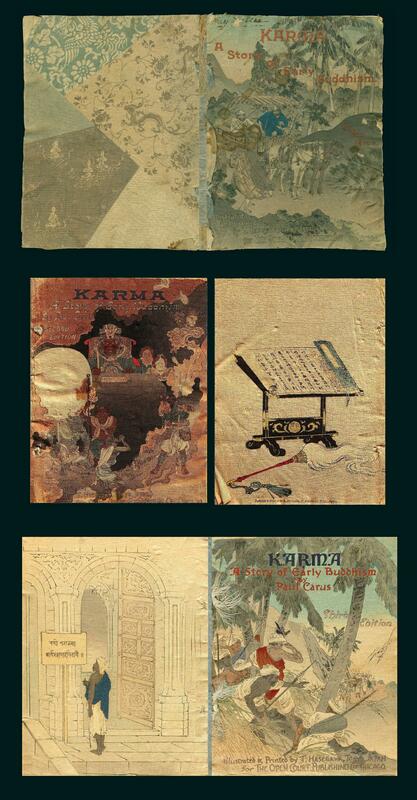 In addition, these books are plain paper and have the Kobunsha imprint. Some of these books are found with the title of "Japanese Fairy Tale Series No. __" in addition to the transliterated title. Currently, my research indicates that starting with 1886 (No. 7) the Japanese Fairy Tale series number was included on the cover along with the title. It also appears that starting with 1887 (No 13) use of the transliterated title was discontinued in favor of the translated title. Regarding paper type (plain and crepe), Sharf notes that the Maruzen firm first listed the Hasegawa books in it's 1890 catalogue and at that time they were all plain paper versions (Sharf at page 17). He then observes that in an 1893 Maruzen catalogue, they were listed in crepe and plain paper. In a later edition of Oyuchasan, published in January of 1893, Hasegawa advertised the Japanese Fairy Tale Series, Nos. 1-20 in "Ordinary Paper & Crepe Paper." It appears very likely that all the Fairy Tale books between Nos. 1 and 20 (1885~1892) were first printed on plain paper and that the crepe paper versions followed later and were available as early as 1893. It certainly does appear that in the period around 1890, as the Kobunsha imprint was being discontinued and the T. Hasegawa imprint was being established, there was a definite shift from the production of plain paper books to creped paper books. 8 Thus far I have confirmed plain paper versions of Nos. 1~18 (1885-9). I am of the opinion that the plain paper versions of these books were the first editions and probably the same is the case for Nos. 19-20 (1891~92). With regard to plain paper versions of Nos. 1~18, below are the major types of titles I have identified. Type B. Translated Titles with "Japanese Fairy Tale Series. No. __"
Type B1. Translated Title without "Japanese Fairy Tale Series No. __"
The plain paper books with type A1, B & B1 titles are sometimes called "Saihan" (second printing). They may have a slightly different color scheme on the front cover. Despite the slightly different covers, the colophons and contents are the same. The plain paper books measure approximately 4 3/4~5 x 7 in (12.1~12.8 x 17.7~18.6 cm). I am of the opinion that it is accurate to call all the plain paper versions of Nos. 1-12 "First Editions." Some may be later printings but it appears accurate to call them all first editions despite minor variations in titles. My review of these books leads me to the following tentative conclusions. Type A (transliterated) titles appear (believed used only on Nos. 1-6) to be the earliest type and first editions, first printings. Use confirmed on Nos. 1, 2, 3, 4, 5, & 6 thus far. Type A1 (transliterated and with Fairy Tale no.) titles of Nos. 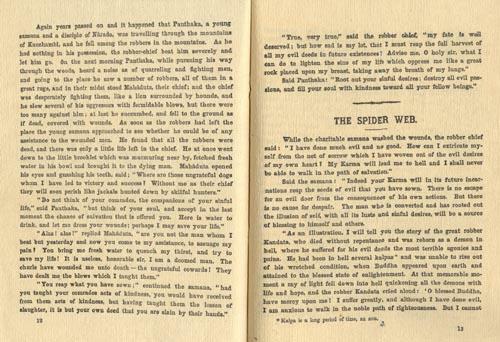 1-6 are believed to be second printings of the first edition. Use confirmed on Nos. 3 (2nd ed) & 4 thus far. Type A1 titles of Nos. 7-12 are believed to be the first printing of the first edition. Use confirmed on Nos. 8, 9, 10, 11, 12 & 17 thus far. Fairy Tale No. 17 (Schippeitaro) was not issued with a different or translated title. Type A2 titles. Use confirmed on No. 1 (2nd edition) and No. 6 thus far. Type B (translated and with Fairy Tale No.) titles start to appear consistently with Nos 13. Use has been confirmed on Nos. 2 (2nd ed), 3 (2nd ed) 6, 8, 9, 10, 11, 12, 13, 14, 15, 16, 18, 23, 24, 25, Second Series, No. 1 and the Fountain of Youth thus far. I believe it is very likely that all numbers between 1-12 have a later (first edition but later printing) plain paper printing using the Type B title cover. Further, I believe that starting with No. 13, only the Type B cover title was used. Type B1 variant (translated but without Fairy Tale no.) has only been seen on Nos. 5 and 7 and those book carried "Japanese Fairy Tales, No. 5/ 7" internally with the colophon. Plain Paper Versions with Brown (not illustrated) Outer Covers. The books discussed above all have illustrated front and back covers. A variant of these books has been recorded with plain brown covers bound in Japanese style with thin string ties. These books have a white paste on label with a decorative border which reads "Japanese Fairy Tales" at the top. Below that is the name of the tale in Japanese and translated into English. Below that is "Published by Kobunsha" and the No 2. Minami Tokyo address. On the right and left are vertical columns of Japanese text. The left hand columns give the printing and publication dates and all were printed and published in Meiji 18 (1885). 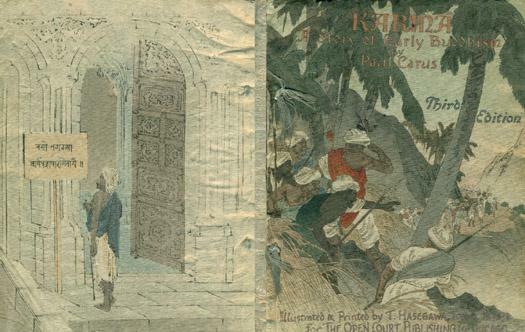 The dates given correspond to the dates found on the plain paper first editions with color illustrated covers. The labels do not have a fairy tale number and none is stated internally. Books in this format are reported for "Momotaro"(No. 1), "Shita Kiri" Suzume (No. 2), "Saru Kani Kassen" (No 3), "Hana Saki Jiji" (No. 4), "KachiKachi Yama" (No. 5) and "Nedzumi no Yome-ire" (No. 6). All illustrations in these books are in black and white. Sharf, referring to these books, calls them the "first Kobunsha" books and notes they were intended for the Japanese educational market (Sharf at page 11). Plain Paper Versions of Nos. 13-20. These numbers are probably all found in plain paper versions. I have confirmed plain paper versions of Nos 13~16 (Wooden Bowl) and 17 and 18. The plain paper versions I have seen of these are only found with translated titles which include "Japanese Fairy Tale Series No. __." (type B). The crepe paper versions carry the same type titles. Additionally Nos. 19~20 are reported in plain paper but I have not examined a copy. In a later edition of Oyuchasan, published in January of 1893, Hasegawa advertised the Japanese Fairy Tale Series, Nos. 1-20 in "Ordinary Paper & Crepe Paper." It is unclear whether the plain paper versions are first editions or whether they were published simultaneously with the crepe paper versions. However, it does appear logical that the plain paper versions were published and distributed before the crepe paper versions. The plain paper versions are uniformly larger than the crepe paper ones, measuring 17.9~18.5 x 12.1~12.5 cm. Determining Date of Printing & Publication. As with most books, values generally vary on a particular item based upon when it was printed and published. The earlier books often command a premium over later printings. Unfortunately, often the books do not state the date of printing or edition. An additional complicating factor is the fact that dates in the Japanese colophons are often not helpful because later editions would sometimes carry colophons from earlier versions (more on this in the next paragraph). However, many of the T. Hasegawa publications give the Hasegawa address. A listing of addresses and dates is provided in the Sharf book. With the address/dates, you can get a helpful "guestimate" of when a particular books was produced. Another means of establishing the date of printing is review of the advertising list found at the back of many of the books. If the date of the last book listed/advertised is known, then the approximate date of printing of the book in hand can be bracketed. The fact that a book carries the Kobunsha (rather than Hasegawa) imprint can not be considered conclusive evidence it is an early printing (1890 and earlier). Reprints are found that carry that carry the Kobunsha imprint even after it was discontinued in favor of the Hasegawa imprint. Reprints. To complicate dating books, one must consider the matter of reprints produced by Hasegawa. It is evident that books were reprinted at later dates but the original colophons were not changed, at least the dates. Perhaps the Japanese in the colophon denotes it as a reprint but I have been unable to confirm that. I have personally reviewed two series of books (No 1~15, first series, small 18mo, crepe) which were originally published under the Kobunsha imprint in the period from 1885~1887. The colophons in these books reflect the original printing and publication dates. However, the imprint (in Japanese in one series [c1898] and English in the other series [c1911]) is Takejiro Hasegawa, not Kobunsha. Based upon the address listed for Hasegawa in the books, and to some degree the advertising, it is very clear these are reprints. Books (Nos. 1-20) printed on plain paper are most likely first editions and not later reprints. However, they might represent different printings (first or second printings) of a first edition. Copyright Notices. My review of Hasegawa/Kobunsha works indicates that copyright notices were not added to the books until the late-1890s. For the English language Japanese Fairy Tales No. 1-20, the presence of a copyright notice or "All Rights Reserved" notice is a strong indication that the book is a reprint or later edition. Below are examples of the Hasegawa copyright notice. Book Binding Techniques. The vast majority of books marketed by T. Hasegawa were bound in traditional Japanese sewn binding techinques. These binding types (Yotsume toji, Kangxi and Yamato toji) are detailed below. Of these binding types, the vast majority of the books were bound in the Yamato toji style. Under special contract with Griffith, Farran & Co., the first 16 books of the fairy tale series were bound in a western type style without stab ties or external string ties. A few other non-fairy tale books were also bound in this manner. Yotsume toji Binding. The first editions (individual books) were sometimes bound with very flimsy string ties. In typical Japanese style, the string/thread ties run down the spine side vertically and are secured in four places by loops which pass around the spine and through small holes punched through the book block. The string ties are very flimsy and are often missing, broken or very loose. Frankly, the binding is so weak that it seems to me that it was anticipated that the books bound in this manner would subsequently be bound into book form using a more substantial method of book binding and not publicly marketed. This style of Japanese book binding is know as Yotsume toji binding. Kangxi Binding. The consolidated set volumes of first edition books with thick paper illustrated covers (Volume I, Volume II and Volume III) are bound with sturdy double string ties. I have not seen individual books bound in this manner, only larger books which are a consolidation of several individual books. This is known as Kangxi binding and is a traditional and sturdy Chinese and Japanese book binding technique. For an excellent illustrated step by step discussion of this binding process, click here. This Kangxi binding is much more elaborate than that used on the individual books. Yamato toji Binding (Two and Four Hole Types). The vast majority of the Hasegawa books are bound at two points with ribbon/cord ties. This is known as the Yamato toji style of Japanese book binding. It is seen with double holes at each point and sometimes four holes at each point. When four holes are used the binding crossed in an "X" pattern on the front and back. In these books the spine is sometimes covered with very thin paper. Double stab hole Yamato toji binding. Four stab hole Yamato toji binding (often used on thicker books). Below is an example of a rather unique binding, at least for Hasegawa books. It is tied at the side. I have only seen this style of binding used on the Aino Fairy Tales series. It is a variant of the Yamato toji style but the ties are wraped around the edge and tied off along the edge. Condition. Evaluating the condition of these books requires consideration of several factors. Some are peculiar to the form of binding used and others are of general applicability to all books. For the folded page bound books, I discuss the factors I consider most important here. Takejiro Hasegawa: Meiji Japan's Preeminent Publisher of Wood-Block-Illustrated Crepe-Paper Books, Salem, 1994, Peabody Essex Museum Collections, red pictorial wrappers, large 8vo (8 1/2 x 11 in), one black and white plate (photograph of T. Hasegawa) and 26 black & white text illustrations, 77 pp. Comprehensive resource on the Hasegawa crepe paper books. Well researched and documented review of T. Hasegawa's life and publishing efforts. The text follows Hasegawa's life as a publisher in a chronological order. This is followed by a section with detailed information on the various Westerners who worked with Hasegawa in the publishing enterprise (pages 32-58). These include Lieutenant F.M. Bostwick, Charles and Susan Bowles, Mae St. John Bramhall, Julia D. Carrothers, Paul Carus, Basil Hall Chamberlain, Benjamin Chappell, Joseph Dautremer, Karl Adolph Florenz, Adolph Groth, Lafcadio Hearn, Dr. James Curtis Hepburn, Mrs. Thomas H. (Kate) James, Mary G. Kimura, Shotaro Kimura, Alica Helen Little, Archibald J. Little, Arthur Lloyd, Edward Rothesay Miller, Emily Patton, Charlotte M.A. Peake, Mrs. W.H. Smith, David Thompson, Mary E. Unger and Captain P.G. Van Schermbeek. The book has a "Selected Biography" (pages 60-65) which provides detailed information on the various Japanese Fairy Tale Series books and other English language illustrated books. This information is general in terms - title, author or translator, artist, printing date, publication date, publisher (with address), woodblock printer and text printer when known. Also contains a chronological listing Hasegawa addresses. The first address is 1885 and the last is 1911 to an unstated date. To see the front cover, click here. These addresses are very helpful in determining the approximate date of printing. 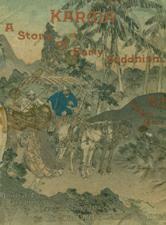 This book was also published in the Peabody Essex Museum Collections, Volume 130, Number 4, October, 1994. Images of Japan 1885-1912: Scenes, Tales and Flowers, Norwich, UK, Hugh Cortazzi and Sainsbury Institute for the Study of Japanese Arts and Cultures, 2011, large 12mo (5 3/4 x 8 1/4 in - 14.7 x 21 cm), stiff illustrated wraps, numerous color illustrations, bibliography (page 129), endnotes (pages 130-38) and index (pages 139-40), 140 pp. 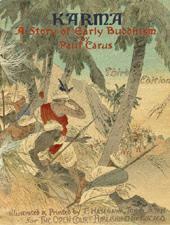 Sir Cortazzi's book is a comprehensive overview of the various color illustrated books produced in the second half of Meiji era Japan and targeted to the foreign market. The book is organized into thirteen categories (Japanese fairy tales, children, flowers, scenery and customs, calendars, satirical books, poetry, etc). Sir Cortazzi discusses the color woodblock books (crepe and plain paper) published by Takejiro Hasegawa. Akiyama Aizaburo and Jujiya and the color (chromo-collotype and hand tinted collotype) plate books published by K. Ogawa, T. Takagi and K. Tamamura. 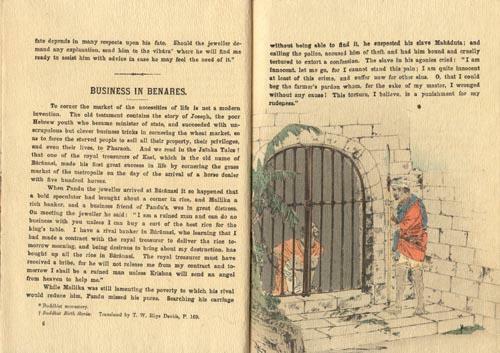 For most books discussed you find comments on the publisher, artist, author and translator as well as extensive color reproduced illustrations. The illustrations are accompanied by detailed descriptive commentary. To see a picture of the covers, click here. ISBN 978-0-9545921-3-4. Chirimen-bon or Crepe Paper Books, published in Daruma, Japanese Art & Antiques Magazine, Issue 47, Vol. 12, No. 3, Summer 2005, Japan, 8vo, illustrated stiff wraps, 58 pp. The article on Japanese crepe paper books covers pages 12 to 27. It is illustrated with 47 color illustrations. An informative and finely illustrated discussion of the Japanese Chirimen books. The Takejiro Hasegawa books are discussed with many illustrations. Hasegawa calendars (book type and hanging) are also noted. Additionally, similar crepe paper books by Akiyama Aisaburo, Hasegawa Sonokichi, SLG (Sidney L. Gulick) and S. Takashima/K. Ogawa are discussed. An important reference work for the collector of these books. To see the cover of this issue, click here. Chirimen-bon no Subete: Meiji Obun Sashie-bon, Tokyo, 2005, 8vo (6 1/4 x 8 1/2 in), red cloth with illustrated slip cover, Japanese language, 332 pp. Roughly, the title translates "Everything about crepe paper books: Meiji era illustrated books." Perhaps the most comprehensive discussion of the illustrated crepe paper books of the Meiji era published. While the text is in Japanese, book titles and Western author's names are in Western languages. The book reads in the Japanese format from the back to the front. The front of the book has a 8 pages of color illustration of the crepe paper books. 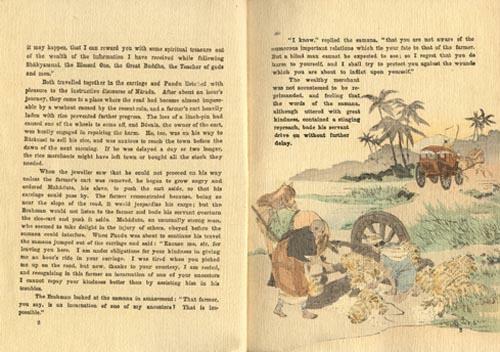 Most books have one or several black and white illustrations in the text discussion. The focus, as one would expect, is the T. Hasegawa/Kobunsha books (in all languages). Pages 243-332 contain information on Fairy Tale books produced by non-Japanese. Here you find books by A.B. Mitford, F.A. Junker von Langegg, William Elliot Griffis, H. Riddell ("Iwaya's Fairy Tales of Old Japan"), Fanny B. Greene and others. At the back, right before the colophon, are 44 pages (i-xliv) of charts and data. There include an extensive series of tables on the Hasegawa/Kobunsha Japanese Fairy Tale series. The book was obviously not intended for the person unable to read Japanese. However, much valuable information can be garnered from the illustrations, the scattered Western language titles and author's names and the tables. Many little known books are described and pictured in addition to the standard fare of Hasegawa published crepe paper book. To see the dust jacket, click here. ISBN: 4-8382-3128-9. Takejiro Hasegawa and the History of the Crepe Paper Book, Japan (Chiba), 2001, The University of the Air (now Hoso Daigaku, Open University of Japan), except for book titles and English language names, text in Japanese only, large 8vo (8 1/4 x 11 3/4 in), stiff illustrated wraps, numerous text illustrations in color, 10 page table of Kobunsha/Hasegawa books at the rear, 33 pp. The front cover has a fold out flap. 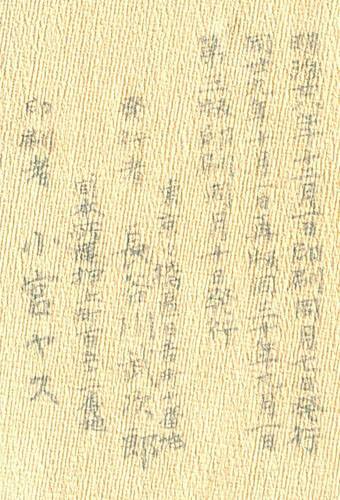 On the inside of the flap a plain paper version of Momotaro is shown. On the inside of the front cover (across from the inside of the fold out flap, a crepe textured paper illustration of Momotaro is tipped in. 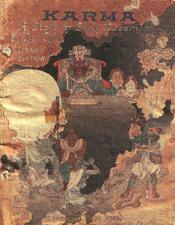 The first section of the book covers the Japanese Fairy Tales 1-21. 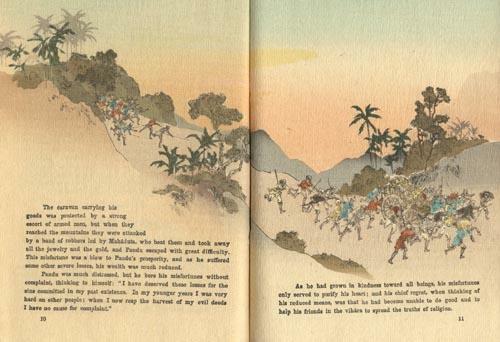 Japanese Fairy Tale 1 (Momotaro) has nine different illustrations of covers of the book from plain paper to crepe paper and English to other language editions. The next section cover the Aino Tale series and pictures all three books. Next is a section on the five books that were translated by Lafcadio Hearn. This is followed by a section on "Movables, Calendars & Others." The movable books are those with a movable flap or fold out section (3 books illustrated). The Calendars illustrated include the very small ones, the book format calendars and odd shaped ones. Next is a brief illustrated discussion on the making of crepe (chirimen) paper. The book concludes with a detailed 10 page listing of Kobunsha/Hasegawa publications. There are a total of 204 numbered items listed with detailed information which generally includes the title (in English), the size (stated in mm), the printing and publication date, the translator and more. To see the front cover, click here. No ISBN. 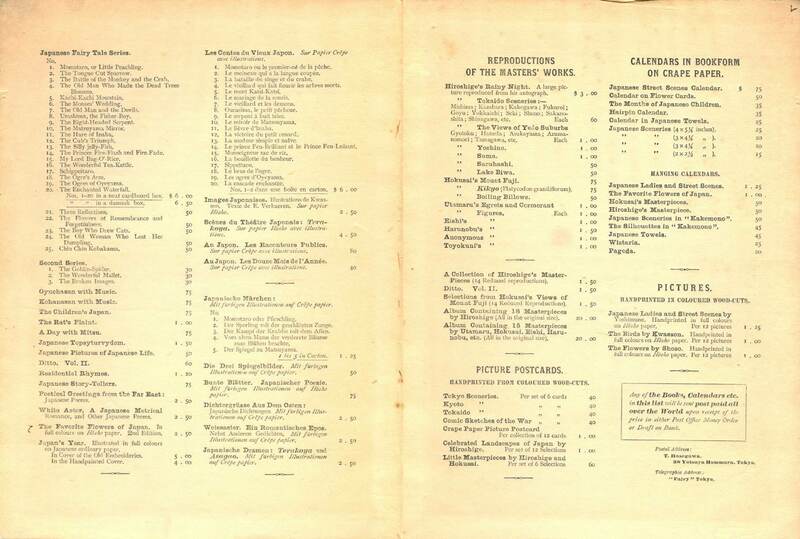 Antiquarian Book Monthly Review (ABMR) , Vol IX, No. 9, Issue 101, Oxford, UK, 1982, September issue, 8vo, paper wraps, pages 331~364. Contains an article by Michael Hollander titled List of Books Published by T. Hasegawa, Tokyo at pages 338~441. This is the earliest comprehensive English language listing of T. Hasegawa books that I have found. The author focuses on the Fairy Tale series but covers other books also and gives a wealth of information which includes title, number of pages and size. Not all these details are provided for each book however. To see the front cover, click here. Lafcadio Hearn a Biography of His Writings, Boston and New York, Houghton Mifflin Company, printed in Japan by the Kenkyosha Printing Company, Tokyo, gray cloth, paste on labels on front board and spine, Tokyo, 1934, 8vo, collotype frontispiece reproducing Hearn's message to the Japanese people, 444 pp. Discusses all 5 books written by Hearn and published by T. Hasegawa - The Boy Who Drew Cats (1st Series, #23), The Old Woman Who Lost Her Dumpling (1st Series, #24), Chin Chin Kobakama (1st Series, #25), The Fountain of Youth and The Goblin Spider (2nd Series, #1). Aino Folk-Tales (Folk-Lore Society, XXII), London, privately printed for the Folk-Lore Society, 1888, prefatory remarks dated July 20, 1887, 8vo, paper wraps, vii, 57 pp. This is a compilation of 54 different Aino folk tales gathered by Chamberlain primarily during a stay in Hokkaido among the Aino in Summer of 1886 and during two earlier visits. While I have seen this publication described with cloth covered boards, I believe that it was bound privately or a modern reprint. I believe that the publication was originally issued by the Folk-Lore Society as a stand-alone soft-cover book. More information on this book is here. This work was prepared at the same time that Chamberlain's Aino Fairy Tales No. 1 and No. 2 were being prepared for publication by The Kobunsha/T. Hasegawa. 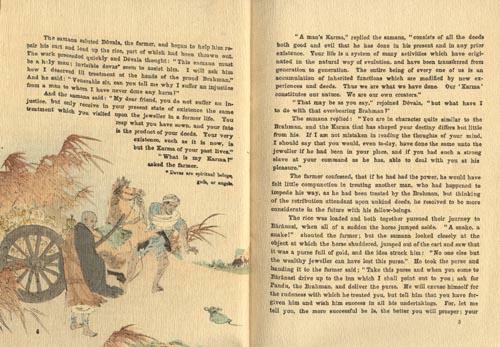 Variants of the three of the folk tales in Chamberlain's 1888 book are found in the T. Hasegawa color woodblock illustrated books. Information on Basil Hall Chamberlain's Aino-Fairy Tales published by Takejiro Hasegawa is here. Takejiro Hasegawa e le fiabe giapponesi del Museo Stibbert (Takejiro Hasegawa and the Japanese Fairy Tales Collection of the Stibbert Museum), Livorno, Italy, Sillabe, October 2008, square 8vo (9 1/2 x 8 3/4 in - 24 x 22 cm), stiff wraps, text in Italian and English, 300 illustrations, 204 pp. A discussion of T. Hasegawa's work and the collection of his material in the Stibbert Museum. The book is primarily a page by page presentation of the first thirteen plain paper English language Japanese Fairy Tale books published by T. Hasegawa. 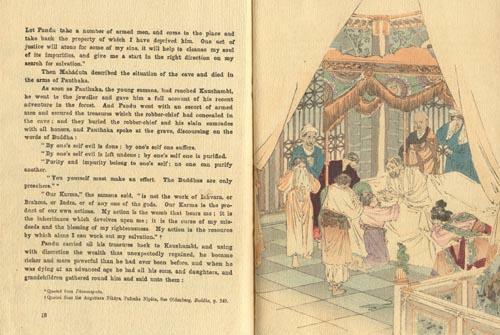 It contains the seldom seen plain paper version of "Kobutoro" (Japanese Fairy Tale No. 7). Each of the thirteen books is preceded by a page of comments about the book in Italian and English. To see the front cover, click here. ISBN: 978-88-8347-478-1. The incompleteness of the collection may be attributed to the way in which the former Imperial Library (one of the predecessors of the NDL) categorized its acquisitions. Chirimen books in minor languages or cheap editions might have been categorized as materials not worth long-term preservation. There is also a possibility that part of collections was lost in the Great Kanto Earthquake. Anthony's Photographic Bulletin, Volume XXI, New York, E. & H. T. Anthony & Co., 1890, March issue, 8vo, contains a reproduction of a formally posed photograph of Takejiro Hasegawa. Copyright continues to exist until the end of a period of fifty years following the death of the author (Article 51). As for the duration of copyright, there are some exceptions for anonymous and pseudonymous works, the works of a legal person or other corporate body, and foreign authors. However, the basic assumption on general works is that from fifty-one years after the death of the author, the work is free from the copyright.